6350801 2FD7 TOYOTA 2FD7 Diesel forklift FD series. Spare parts catalog. Service (workshop) Manual. 6350802 2FD9 TOYOTA 2FD9 Diesel forklift FD series. Spare parts catalog. Service (workshop) Manual. 6350803 02-3FD10 TOYOTA 02-3FD10 Diesel forklift FD series. Spare parts catalog. Service (workshop) Manual. 6350804 02-5FD10 TOYOTA 02-5FD10 Diesel forklift FD series. Spare parts catalog. Service (workshop) Manual. 6350805 02-6FD10 TOYOTA 02-6FD10 Diesel forklift FD series. Spare parts catalog. Service (workshop) Manual. 6350806 02-7FD10 TOYOTA 02-7FD10 Diesel forklift FD series. Spare parts catalog. Service (workshop) Manual. 6350807 02-8FD10 TOYOTA 02-8FD10 Diesel forklift FD series. Spare parts catalog. Service (workshop) Manual. 6350808 20-7FD10 TOYOTA 20-7FD10 Diesel forklift FD series. Spare parts catalog. Service (workshop) Manual. 6350809 32-8FD10 TOYOTA 32-8FD10 Diesel forklift FD series. Spare parts catalog. Service (workshop) Manual. 6350810 3FD10 TOYOTA 3FD10 Diesel forklift FD series. Spare parts catalog. Service (workshop) Manual. 6350811 5FD10 TOYOTA 5FD10 Diesel forklift FD series. Spare parts catalog. Service (workshop) Manual. 6350812 60-8FD10 TOYOTA 60-8FD10 Diesel forklift FD series. Spare parts catalog. Service (workshop) Manual. 6350813 62-8FD10 TOYOTA 62-8FD10 Diesel forklift FD series. Spare parts catalog. Service (workshop) Manual. 6350814 6FD10 TOYOTA 6FD10 Diesel forklift FD series. Spare parts catalog. Service (workshop) Manual. 6350815 7FD10 TOYOTA 7FD10 Diesel forklift FD series. Spare parts catalog. Service (workshop) Manual. 6350816 80-3FD10 TOYOTA 80-3FD10 Diesel forklift FD series. Spare parts catalog. Service (workshop) Manual. 6350817 80-5FD10 TOYOTA 80-5FD10 Diesel forklift FD series. Spare parts catalog. Service (workshop) Manual. 6350818 82-3FD10 TOYOTA 82-3FD10 Diesel forklift FD series. Spare parts catalog. Service (workshop) Manual. 6350819 82-5FD10 TOYOTA 82-5FD10 Diesel forklift FD series. Spare parts catalog. Service (workshop) Manual. 6350820 8FD10 TOYOTA 8FD10 Diesel forklift FD series. Spare parts catalog. Service (workshop) Manual. 6350821 3FD14 TOYOTA 3FD14 Diesel forklift FD series. Spare parts catalog. Service (workshop) Manual. 6350822 5FD14 TOYOTA 5FD14 Diesel forklift FD series. Spare parts catalog. Service (workshop) Manual. 6350823 6FD14 TOYOTA 6FD14 Diesel forklift FD series. Spare parts catalog. Service (workshop) Manual. 6350824 7FD14 TOYOTA 7FD14 Diesel forklift FD series. Spare parts catalog. Service (workshop) Manual. 6350825 8FD14 TOYOTA 8FD14 Diesel forklift FD series. Spare parts catalog. Service (workshop) Manual. 6350826 02-3FD14 TOYOTA 02-3FD14 Diesel forklift FD series. Spare parts catalog. Service (workshop) Manual. 6350827 80-3FD14 TOYOTA 80-3FD14 Diesel forklift FD series. Spare parts catalog. Service (workshop) Manual. 6350828 82-3FD14 TOYOTA 82-3FD14 Diesel forklift FD series. Spare parts catalog. Service (workshop) Manual. 6350829 02-5FD14 TOYOTA 02-5FD14 Diesel forklift FD series. Spare parts catalog. Service (workshop) Manual. 6350830 80-5FD14 TOYOTA 80-5FD14 Diesel forklift FD series. Spare parts catalog. Service (workshop) Manual. 6350831 82-5FD14 TOYOTA 82-5FD14 Diesel forklift FD series. Spare parts catalog. Service (workshop) Manual. 6350832 02-6FD14 TOYOTA 02-6FD14 Diesel forklift FD series. Spare parts catalog. Service (workshop) Manual. 6350833 02-7FD14 TOYOTA 02-7FD14 Diesel forklift FD series. Spare parts catalog. Service (workshop) Manual. 6350834 02-8FD14 TOYOTA 02-8FD14 Diesel forklift FD series. Spare parts catalog. Service (workshop) Manual. 6350835 3FD15 TOYOTA 3FD15 Diesel forklift FD series. Spare parts catalog. Service (workshop) Manual. 6350836 5FD15 TOYOTA 5FD15 Diesel forklift FD series. Spare parts catalog. Service (workshop) Manual. 6350837 6FD15 TOYOTA 6FD15 Diesel forklift FD series. Spare parts catalog. Service (workshop) Manual. 6350838 7FD15 TOYOTA 7FD15 Diesel forklift FD series. Spare parts catalog. Service (workshop) Manual. 6350839 8FD15 TOYOTA 8FD15 Diesel forklift FD series. Spare parts catalog. Service (workshop) Manual. 6350840 02-3FD15 TOYOTA 02-3FD15 Diesel forklift FD series. Spare parts catalog. Service (workshop) Manual. 6350841 80-3FD15 TOYOTA 80-3FD15 Diesel forklift FD series. Spare parts catalog. Service (workshop) Manual. 6350842 82-3FD15 TOYOTA 82-3FD15 Diesel forklift FD series. Spare parts catalog. Service (workshop) Manual. 6350843 02-5FD15 TOYOTA 02-5FD15 Diesel forklift FD series. Spare parts catalog. Service (workshop) Manual. 6350844 80-5FD15 TOYOTA 80-5FD15 Diesel forklift FD series. Spare parts catalog. Service (workshop) Manual. 6350845 82-5FD15 TOYOTA 82-5FD15 Diesel forklift FD series. Spare parts catalog. Service (workshop) Manual. 6350846 02-6FD15 TOYOTA 02-6FD15 Diesel forklift FD series. Spare parts catalog. Service (workshop) Manual. 6350847 02-7FD15 TOYOTA 02-7FD15 Diesel forklift FD series. Spare parts catalog. Service (workshop) Manual. 6350848 02-8FD15 TOYOTA 02-8FD15 Diesel forklift FD series. Spare parts catalog. Service (workshop) Manual. 6350849 32-8FD15 TOYOTA 32-8FD15 Diesel forklift FD series. Spare parts catalog. Service (workshop) Manual. 6350850 60-8FD15 TOYOTA 60-8FD15 Diesel forklift FD series. Spare parts catalog. Service (workshop) Manual. 6350851 62-8FD15 TOYOTA 62-8FD15 Diesel forklift FD series. Spare parts catalog. Service (workshop) Manual. 6350852 06-8FD15F TOYOTA 06-8FD15F Diesel forklift FD series. Spare parts catalog. Service (workshop) Manual. 6350853 FD18 TOYOTA FD18 Diesel forklift FD series. Spare parts catalog. Service (workshop) Manual. 6350854 3FD18 TOYOTA 3FD18 Diesel forklift FD series. Spare parts catalog. Service (workshop) Manual. 6350855 5FD18 TOYOTA 5FD18 Diesel forklift FD series. Spare parts catalog. Service (workshop) Manual. 6350856 6FD18 TOYOTA 6FD18 Diesel forklift FD series. Spare parts catalog. Service (workshop) Manual. 6350857 7FD18 TOYOTA 7FD18 Diesel forklift FD series. Spare parts catalog. Service (workshop) Manual. 6350858 8FD18 TOYOTA 8FD18 Diesel forklift FD series. Spare parts catalog. Service (workshop) Manual. 6350859 02-FD18 TOYOTA 02-FD18 Diesel forklift FD series. Spare parts catalog. Service (workshop) Manual. 6350860 80-FD18 TOYOTA 80-FD18 Diesel forklift FD series. Spare parts catalog. Service (workshop) Manual. 6350861 82-FD18 TOYOTA 82-FD18 Diesel forklift FD series. Spare parts catalog. Service (workshop) Manual. 6350862 02-3FD18 TOYOTA 02-3FD18 Diesel forklift FD series. Spare parts catalog. Service (workshop) Manual. 6350863 80-3FD18 TOYOTA 80-3FD18 Diesel forklift FD series. Spare parts catalog. Service (workshop) Manual. 6350864 82-3FD18 TOYOTA 82-3FD18 Diesel forklift FD series. Spare parts catalog. Service (workshop) Manual. 6350865 02-5FD18 TOYOTA 02-5FD18 Diesel forklift FD series. Spare parts catalog. Service (workshop) Manual. 6350866 80-5FD18 TOYOTA 80-5FD18 Diesel forklift FD series. Spare parts catalog. Service (workshop) Manual. 6350867 82-5FD18 TOYOTA 82-5FD18 Diesel forklift FD series. Spare parts catalog. Service (workshop) Manual. 6350868 02-6FD18 TOYOTA 02-6FD18 Diesel forklift FD series. Spare parts catalog. Service (workshop) Manual. 6350869 02-7FD18 TOYOTA 02-7FD18 Diesel forklift FD series. Spare parts catalog. Service (workshop) Manual. 6350870 02-8FD18 TOYOTA 02-8FD18 Diesel forklift FD series. Spare parts catalog. Service (workshop) Manual. 6350871 32-8FD18 TOYOTA 32-8FD18 Diesel forklift FD series. Spare parts catalog. Service (workshop) Manual. 6350872 62-8FD18 TOYOTA 62-8FD18 Diesel forklift FD series. Spare parts catalog. Service (workshop) Manual. 6350873 06-8FD18F TOYOTA 06-8FD18F Diesel forklift FD series. Spare parts catalog. Service (workshop) Manual. 6350875 02-6FDA15 TOYOTA 02-6FDA15 Diesel forklift FDA series. Spare parts catalog. Service (workshop) Manual. 6350876 02-6FDA18 TOYOTA 02-6FDA18 Diesel forklift FDA series. Spare parts catalog. Service (workshop) Manual. 6350878 FDC18 TOYOTA FDC18 Diesel forklift FDC series. Spare parts catalog. Service (workshop) Manual. 6350879 02-FDC18 TOYOTA 02-FDC18 Diesel forklift FDC series. Spare parts catalog. Service (workshop) Manual. 6350881 5FDF15 TOYOTA 5FDF15 Diesel forklift FDF series. Spare parts catalog. Service (workshop) Manual. 6350882 6FDF15 TOYOTA 6FDF15 Diesel forklift FDF series. Spare parts catalog. Service (workshop) Manual. 6350883 02-5FDF15 TOYOTA 02-5FDF15 Diesel forklift FDF series. Spare parts catalog. Service (workshop) Manual. 6350884 02-6FDF15 TOYOTA 02-6FDF15 Diesel forklift FDF series. Spare parts catalog. Service (workshop) Manual. 6350885 02-7FDF15 TOYOTA 02-7FDF15 Diesel forklift FDF series. Spare parts catalog. Service (workshop) Manual. 6350886 02-8FDF15 TOYOTA 02-8FDF15 Diesel forklift FDF series. Spare parts catalog. Service (workshop) Manual. 6350887 62-8FDF15 TOYOTA 62-8FDF15 Diesel forklift FDF series. Spare parts catalog. Service (workshop) Manual. 6350888 5FDF18 TOYOTA 5FDF18 Diesel forklift FDF series. Spare parts catalog. Service (workshop) Manual. 6350889 6FDF18 TOYOTA 6FDF18 Diesel forklift FDF series. Spare parts catalog. Service (workshop) Manual. 6350890 02-5FDF18 TOYOTA 02-5FDF18 Diesel forklift FDF series. Spare parts catalog. Service (workshop) Manual. 6350891 02-6FDF18 TOYOTA 02-6FDF18 Diesel forklift FDF series. Spare parts catalog. Service (workshop) Manual. 6350892 02-7FDF18 TOYOTA 02-7FDF18 Diesel forklift FDF series. Spare parts catalog. Service (workshop) Manual. 6350893 02-8FDF18 TOYOTA 02-8FDF18 Diesel forklift FDF series. Spare parts catalog. Service (workshop) Manual. 6350894 62-8FDF18 TOYOTA 62-8FDF18 Diesel forklift FDF series. Spare parts catalog. Service (workshop) Manual. 6350896 2FDL7 TOYOTA 2FDL7 Diesel forklift FDL series. Spare parts catalog. Service (workshop) Manual. 6350897 2FDL9 TOYOTA 2FDL9 Diesel forklift FDL series. Spare parts catalog. Service (workshop) Manual. 6350898 8FDL10 TOYOTA 8FDL10 Diesel forklift FDL series. Spare parts catalog. Service (workshop) Manual. 6350899 80-3FDL10 TOYOTA 80-3FDL10 Diesel forklift FDL series. Spare parts catalog. Service (workshop) Manual. 6350900 82-3FDL10 TOYOTA 82-3FDL10 Diesel forklift FDL series. Spare parts catalog. Service (workshop) Manual. 6350901 80-5FDL10 TOYOTA 80-5FDL10 Diesel forklift FDL series. Spare parts catalog. Service (workshop) Manual. 6350902 82-5FDL10 TOYOTA 82-5FDL10 Diesel forklift FDL series. Spare parts catalog. Service (workshop) Manual. 6350903 80-6FDL10 TOYOTA 80-6FDL10 Diesel forklift FDL series. Spare parts catalog. Service (workshop) Manual. 6350904 82-6FDL10 TOYOTA 82-6FDL10 Diesel forklift FDL series. Spare parts catalog. Service (workshop) Manual. 6350905 80-7FDL10 TOYOTA 80-7FDL10 Diesel forklift FDL series. Spare parts catalog. Service (workshop) Manual. 6350906 82-7FDL10 TOYOTA 82-7FDL10 Diesel forklift FDL series. Spare parts catalog. Service (workshop) Manual. 6350907 02-8FDL10 TOYOTA 02-8FDL10 Diesel forklift FDL series. Spare parts catalog. Service (workshop) Manual. 6350908 8FDL14 TOYOTA 8FDL14 Diesel forklift FDL series. Spare parts catalog. Service (workshop) Manual. 6350909 80-3FDL14 TOYOTA 80-3FDL14 Diesel forklift FDL series. Spare parts catalog. Service (workshop) Manual. 6350910 82-3FDL14 TOYOTA 82-3FDL14 Diesel forklift FDL series. Spare parts catalog. Service (workshop) Manual. 6350911 80-5FDL14 TOYOTA 80-5FDL14 Diesel forklift FDL series. Spare parts catalog. Service (workshop) Manual. 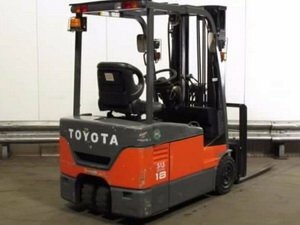 6350912 82-5FDL14 TOYOTA 82-5FDL14 Diesel forklift FDL series. Spare parts catalog. Service (workshop) Manual. 6350913 80-6FDL14 TOYOTA 80-6FDL14 Diesel forklift FDL series. Spare parts catalog. Service (workshop) Manual. 6350914 82-6FDL14 TOYOTA 82-6FDL14 Diesel forklift FDL series. Spare parts catalog. Service (workshop) Manual. 6350915 80-7FDL14 TOYOTA 80-7FDL14 Diesel forklift FDL series. Spare parts catalog. Service (workshop) Manual. 6350916 6FDL15 TOYOTA 6FDL15 Diesel forklift FDL series. Spare parts catalog. Service (workshop) Manual. 6350917 8FDL15 TOYOTA 8FDL15 Diesel forklift FDL series. Spare parts catalog. Service (workshop) Manual. 6350918 80-3FDL15 TOYOTA 80-3FDL15 Diesel forklift FDL series. Spare parts catalog. Service (workshop) Manual. 6350919 82-3FDL15 TOYOTA 82-3FDL15 Diesel forklift FDL series. Spare parts catalog. Service (workshop) Manual. 6350920 80-5FDL15 TOYOTA 80-5FDL15 Diesel forklift FDL series. Spare parts catalog. Service (workshop) Manual. 6350921 82-5FDL15 TOYOTA 82-5FDL15 Diesel forklift FDL series. Spare parts catalog. Service (workshop) Manual. 6350922 02-6FDL15 TOYOTA 02-6FDL15 Diesel forklift FDL series. Spare parts catalog. Service (workshop) Manual. 6350923 80-6FDL15 TOYOTA 80-6FDL15 Diesel forklift FDL series. Spare parts catalog. Service (workshop) Manual. 6350924 82-6FDL15 TOYOTA 82-6FDL15 Diesel forklift FDL series. Spare parts catalog. Service (workshop) Manual. 6350925 80-7FDL15 TOYOTA 80-7FDL15 Diesel forklift FDL series. Spare parts catalog. Service (workshop) Manual. 6350926 82-7FDL15 TOYOTA 82-7FDL15 Diesel forklift FDL series. Spare parts catalog. Service (workshop) Manual. 6350927 02-8FDL15 TOYOTA 02-8FDL15 Diesel forklift FDL series. Spare parts catalog. Service (workshop) Manual. 6350928 8FDL18 TOYOTA 8FDL18 Diesel forklift FDL series. Spare parts catalog. Service (workshop) Manual. 6350929 80-FDL18 TOYOTA 80-FDL18 Diesel forklift FDL series. Spare parts catalog. Service (workshop) Manual. 6350930 82-FDL18 TOYOTA 82-FDL18 Diesel forklift FDL series. Spare parts catalog. Service (workshop) Manual. 6350931 80-3FDL18 TOYOTA 80-3FDL18 Diesel forklift FDL series. Spare parts catalog. Service (workshop) Manual. 6350932 82-3FDL18 TOYOTA 82-3FDL18 Diesel forklift FDL series. Spare parts catalog. Service (workshop) Manual. 6350933 80-5FDL18 TOYOTA 80-5FDL18 Diesel forklift FDL series. Spare parts catalog. Service (workshop) Manual. 6350934 82-5FDL18 TOYOTA 82-5FDL18 Diesel forklift FDL series. Spare parts catalog. Service (workshop) Manual. 6350935 80-6FDL18 TOYOTA 80-6FDL18 Diesel forklift FDL series. Spare parts catalog. Service (workshop) Manual. 6350936 82-6FDL18 TOYOTA 82-6FDL18 Diesel forklift FDL series. Spare parts catalog. Service (workshop) Manual. 6350937 80-7FDL18 TOYOTA 80-7FDL18 Diesel forklift FDL series. Spare parts catalog. Service (workshop) Manual. 6350939 7FDN15 TOYOTA 7FDN15 Diesel forklift FDN series. Spare parts catalog. Service (workshop) Manual. 6350940 02-7FDN15 TOYOTA 02-7FDN15 Diesel forklift FDN series. Spare parts catalog. Service (workshop) Manual. 6350941 60-8FDN15 TOYOTA 60-8FDN15 Diesel forklift FDN series. Spare parts catalog. Service (workshop) Manual. 6350942 62-8FDN15 TOYOTA 62-8FDN15 Diesel forklift FDN series. Spare parts catalog. Service (workshop) Manual. 6350944 7FDU15 TOYOTA 7FDU15 Diesel forklift FDU series. Spare parts catalog. Service (workshop) Manual. 6350945 8FDU15 TOYOTA 8FDU15 Diesel forklift FDU series. Spare parts catalog. Service (workshop) Manual. 6350946 02-5FDU15 TOYOTA 02-5FDU15 Diesel forklift FDU series. Spare parts catalog. Service (workshop) Manual. 6350947 62-8FDU15 TOYOTA 62-8FDU15 Diesel forklift FDU series. Spare parts catalog. Service (workshop) Manual. 6350948 7FDU18 TOYOTA 7FDU18 Diesel forklift FDU series. Spare parts catalog. Service (workshop) Manual. 6350949 8FDU18 TOYOTA 8FDU18 Diesel forklift FDU series. Spare parts catalog. Service (workshop) Manual. 6350950 02-5FDU18 TOYOTA 02-5FDU18 Diesel forklift FDU series. Spare parts catalog. Service (workshop) Manual. 6350951 02-6FDU18 TOYOTA 02-6FDU18 Diesel forklift FDU series. Spare parts catalog. Service (workshop) Manual. 6350952 62-8FDU18 TOYOTA 62-8FDU18 Diesel forklift FDU series. Spare parts catalog. Service (workshop) Manual.